Most frequently used test by highway departments, contractors, engineers, testing laboratories and government agencies is the stability test using Marshal Apparatus. 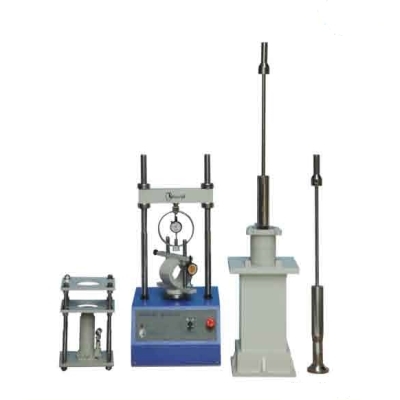 The test is intended for the measurement of the resistance to plastic flow of cylindrical specimens of bituminous paving mixture loaded on the lateral surface. For use with hot mixture containing asphalt or tar and aggregate up to 25.4mm maximum size. Consists of Marshal load frame cap 50kN with speed 50.8mm/min, compaction mould, compaction hammer & pedestal, dial gauge 25mm and proving ring 25kN.